Winston, also know as ‘Winnie Bago’ is a very excited and happy dog. He is currently 3 years old and will be turning 4 in a few weeks but still acts like a puppy! 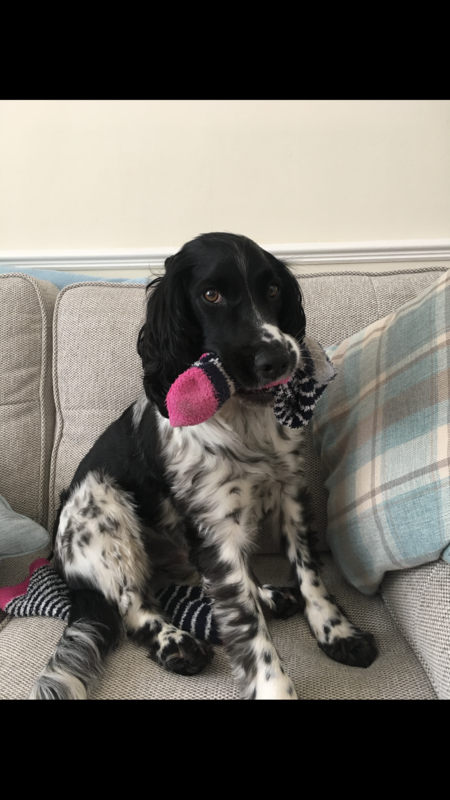 As you can tell by the picture Winston likes to steal our socks and be very cheeky. He is always full of energy during the day but gets very cuddly and sleepy in the evenings. Winston likes to go on big long walks and is obsessed with eating cheese! It would mean a lot to him if you could vote, thank you! Sleeping, eating and chewing socks!